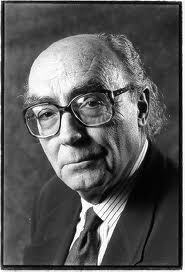 José Saramago, the Portuguese writer, was born on November 16th , 1922 in a village called Azinhaga. He was a writer, a screenwriter, a playwright, an essayist, a journalist, a dramatist, a novelist and a poet. His parents and grandparents were farmers. He lived in London, and in Lisbon. José Saramago did not pursue secondary studies and studies at university because of economic difficulties. He graduated from a technical school and his first job was as a mechanic. Later he had other jobs such as: a designer, a health employee, a social welfare, a translator, an editor and a journalist. He published his first book, a novel in 1947 that was called Terra do Pecado and was not published until 1966. He worked in Seara Nova for 12 years, where he held a senior position and literary production. He worked in the newspaper Diário de Lisboa from1972 to 1973, where he was a political commentator and for one year coordinated the cultural supplement of that newspaper. He belonged to the first direction of the Portuguese Association of Writers and from 1985 to 1994 he was the president of the General Assembly of the Portuguese Society of Authors. From 1976 he lived on his literary work, first as translator then as author. In 1988 he married Pilar Del Rio. From 1993 José Saramago divided his life between Portugal and Spain, because his wife was a native of the island Lanzarote. The work of José Saramago was awarded in different countries, with various prizes, as the Camões Prize in 1995 and the Nobel Prize for Literature in 1998. José Saramago's books are published in several countries and translated into several languages. His book Blindness was adapted to the cinema. Saramago was known for his atheism and Iberianism and was a member of the communist party. Many of his books were based on these ideals of life. José Saramago died on 18 June 2010, aged 87, at his home in Lazarote victim of chronic leukaemia. His funeral took state honours, and his body was cremated in the cemetery Alto de S. João in Lisbon. What I will do with this book?